In phono preamplification all aspects require careful consideration. Cartridge loading has a major influence on reproduction. If there is non-optimal impedance matching between a cartridge and the input stage of the preamplifier, optimal reproduction is impossible. A loading resistance is required because electro-acoustic transducers must be damped to avoid ringing, overshoot and other negative effects. The loading also influences the preamplifier's noise level, the frequency response, etc. 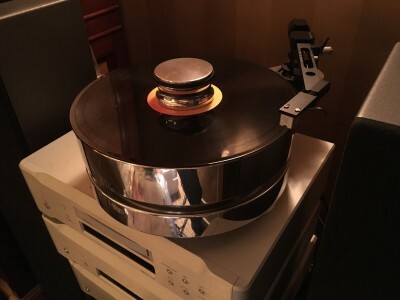 Loading your Moving Coil (MC) cartridge has got to be one of the most misunderstood facets of owning a phonograph. 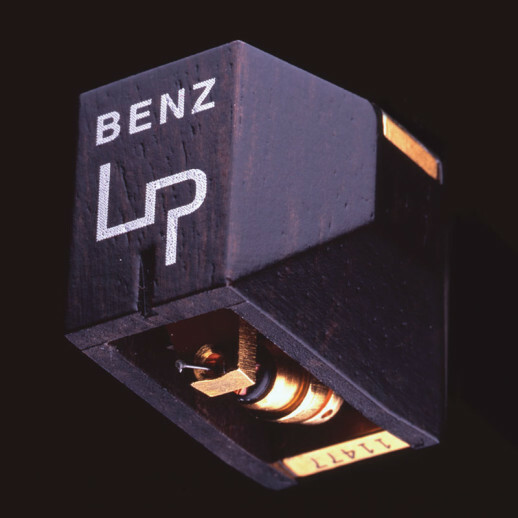 Define MC load; the resistance added across the coil portion of the cartridge, normally added at or in the phono amplifier. Just to copy from above incase it was not read, "A loading resistance is required because electro-acoustic transducers must be damped to avoid ringing, overshoot and other negative effects." electro-acoustical transducer is what the coils in the cartridge are. 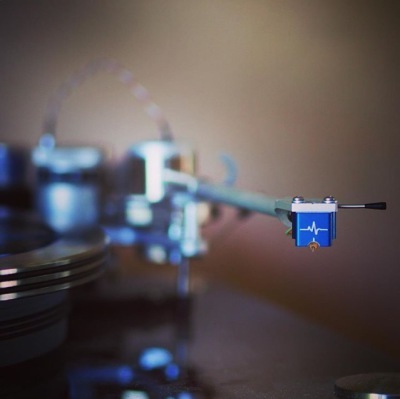 This means that a restance value must be applied to the cartridge coil to get the best most accurate sound possible. Any value can be used to accomplish the DAMPING but there are very few values (normally within about 50 ohms of a value) that will make the best sound! Most Common in many phono amplifiers is a MC load of 100 ohms, and some have a few jumpers or dip switches to give a tiny ability to adjust damping like 100, 400, 1k, 47k ohm. Check your phono amp for it's adjustments or value. Remember correct damping equals correct sound! Let's side track slightly, correct sound is what you consider correct, (there is such a thing as "the absolute sound" defined here as an acoustical instrument/instruments in space) I consider correct sound as the closest reproduction of the absolute sound. When I say what you consider correct I mean what you like, I have known people that were perfectly happy with the sound of a portable radio, now that will not work for me but who am I to judge. The resistor type (metal film, carbon composition, tantlem, etc...) is not important!!! WHAT THE %[email protected]#*&%^)@(3%. I just lost 99.9% of you as every one is told about the different sound different components make which would include resistors. This difference is what high end audio is all about, better components better sound, right. Yes, in most circumstances but now comes the part where you learn a little more about what is actually being done with the resistor. The location of the resistor is from the positive input of a channel to ground, negative or "O", (negative, ground or "O" are all the same thing just stated differently at times) or what ever you want to call it. So picture for a moment a stereo cartridge as you hook it up in the head shell. There is a Left and a Right channel with corresponding pins exiting the back and each has a pos and neg pin. When the signal from these pins reach your phono amplifier it represents an RCA's center (Positive) section and the perimeter (Negative) section. If you were to look inside the amplifier you will note that the perimeter or outside of that RCA goes to their ground and the center is signal. What actually happens in a single ended component is that the signal/center pin or positive actually swings both positive and negative in reference to "O", ground and negative. This concept is lost on many but it should not be as is easy to understand the (I call it "O" or zero as opposed to ground and negative) "O" is the reference point for a signal both pos and neg to start. Now with all that processed you can imagine how the resistor placed accross the pins of the cartridge or across the RCA or on the circuit board (all the same electrical place) will simply go from signal to "O". The resistor is not in the signal path at all so the quality of sound is irrelevant, just use inexpensive metal film which can be purchased in 1% tolerances so each resistor is the same as the next in a given value. So loading your MC cartridge is very simple just insert resistor between pos signal and "O". If the manufacturer of your phono amplifier product has made provisions for you to change or adjust then you are set, if not you can fix it. Even a few jumpers or dip switches is better than nothing, but you will not be able to get you optimal damping unless one of their values just happens to to be "it", good luck, because you will never know unless you can try different values. If they did not you can make it so, you can, by changing their load resistors (large value like 100k ohm) and then wiring each end of the resistor to an RCA on the outside of the unit, you will have to mount and wire them. Then you can change values at will. If you want further information on how to do this external loading let me know as it is not difficult. 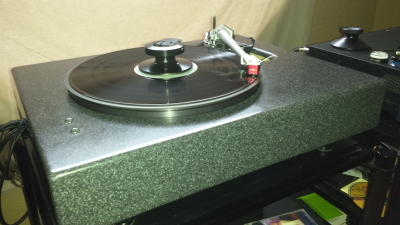 The picture to the right is the Paradox "Phono 70" back plate. Notice the female RCA's marked LOAD this is where you insert an RCA with with a given value resistor between the center pin and the perimeter of the body like in the next picture. The other pictures are for fun.